Is rosehip oil good for oily skin? In short – yes! Rosehip oil is becoming very popular in cosmetics for getting perfect skin. Women use it as a natural moisturizer, adding it to face masks, toners and in other hair and skin care products. Rosehip oil is often called the “king of natural oils”. Its benefits for skin are very diverse. It shows anti-inflammatory, antimicrobial, wound-healing, softening and vitaminizing effects. Oily skin can benefit a lot from the usage of rosehip oil. Thanks to vitamins (vitamin E, vitamin C and B-carotene, a form of vitamin A) and fatty acids it has a rejuvenating and regenerating effect, increases skin elasticity, improves the secretion of sebaceous glands, eliminates irritations. If applied regularly, rosehip oil increases the epidermis protection and intracellular metabolism. How exactly rosehip oil helps oily skin? When we have oily skin, it means that our sebum production is excessive. While most of the tame this is a given fact and depends on our skin type, sometimes it is us who make things even worse. Oily skin owners tend to use oil-free cosmetics, scrub their skin and rub it with alcohol-based tonics, hoping, that these harsh methods will help with eliminating excessive skin oil. As a result, their skin turns into a dull, undernourished skin that tends to secrete even more oil, to restore its natural lipid barrier. This can lead to acne, whiteheads and blackheads, clogged pores and an overall greasy look. Rosehip oil prevents all these negative issues with oily skin. Even though it may seem counter-intuitive to put oil on skin that is prone to acne or is naturally oily, rosehip oil is, in fact, a great product to use. Rosehip oil is a lightweight facial oil that is absorbed quickly by the skin. It also helps unclog pores (rosehip oil is non-comedogenic) and prevent pimples. Oily skin is usually lacking in linoleic acid. Linoleic acid provides anti-inflammatory, moisturizing and healing support. It also helps fight acne, softens the skin, and keeps it supple and youthful. Rosehip oil is rich in this linoleic acid and it can take care of linoleic acid deficiency. To moisturize oily skin apply a few drops of organic rosehip oil and massage it to your skin. Rosehip oil is considered as a dry oil, therefore it absorbs quickly into the skin, and you won’t be left with the greasy look. With just seven ingredients, this facial moisturizer is easy to make and very nourishing to the skin. Both rosehip oil and evening primrose oil are great for oily skin as carrier oils. Rosehip oil nourishes and moisturizes the skin, while evening primrose oil supplies linoleic acid to the skin, which is responsible for excessive sebum production. Rose essential oil and lavender essential oil are among the top 10 essential oils that suit perfectly oily skin needs and do not clog pores. I found this great and easy recipe at Live Simply page, and ever since been loving it! It is simply to make and requires only 3 ingredients, one of which is rosehip oil. The mixture smells heavenly and is great for the flaky skin I still sometimes get after trying to get rid of pimples with alcohol-containing toners. How to choose the best rosehip oil for oily skin? Rosehip (seed) oil is filled with antioxidants, vitamins, and fatty acids, making it an essential choice for hydrating both dry and oily skin, reducing scarring, or evening out pigmentation. But in order to get all these benefits, you should really pay attention to the quality of rosehip oil you buy. Color. When it comes to rosehip seed oil, color matters. In general, conventionally grown rosehip seed oil is usually pale yellow and lacking in beneficial lycopene, minerals, and vitamins A and C.
Organic rosehip oil. The source from which oil is coming is extremely important. 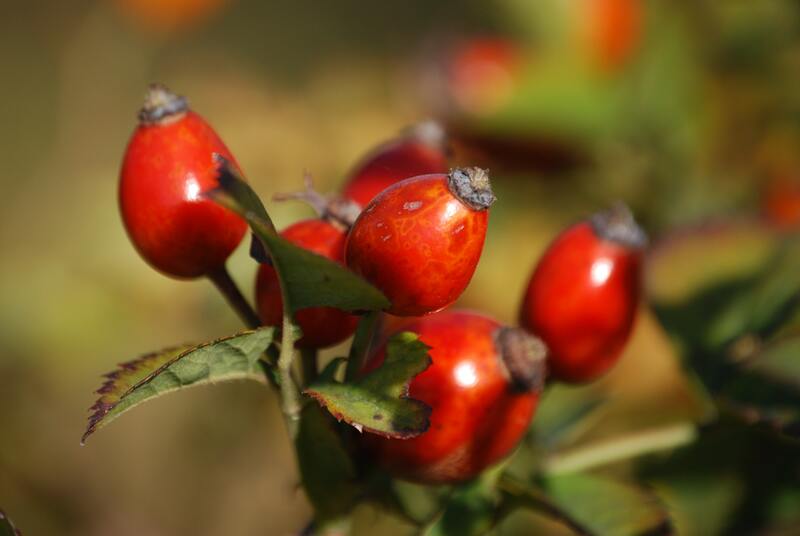 Organic rosehip seed oil tends to have a more vibrant orange-yellow color due to its higher level of beneficial carotenoids and vitamin A.
Organic Rosehip Oil usually comes from wild rosehips and is a naturally rich source of essential fatty acids, vitamins, and antioxidants. Always pay attention, if the label explicitly states, that rosehip oil is organic. Production method. Always look for “Cold pressed Rosehip oil”. Cold pressed method is one of the best methods to extract essential oils. It is a method of mechanical extraction where heat is reduced and minimized throughout the batching of the raw material. On the contrary, expeller-pressed oils, which produced at higher temperatures, become a toasted, nutty flavor, and may lose vitamins and nutrients.